Newcomer Family Obituaries - Carl Russell Mullins Jr. 1943 - 2018 - Newcomer Cremations, Funerals & Receptions. Carl Russell Mullins Jr., age 75 of Johnstown, passed away at his residence on November 28, 2018. 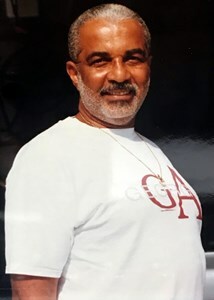 He was born on May 7, 1943 to the late Carl Russell Mullins Sr, and Ada (Goodrich) Mullins in Lexington, KY. Carl served his country with the U.S. Army and retired from GE after 30 plus years of service. Carl is survived by daughters Marjorie Mullins, Michelle (Derron) Collett, Maria (Bill) Varney and Cathy Swain, grandchildren Tiffaney Jackson, Zach McKethan, Lauryn Collett, Cameron Varney, Donovan Varney, Pierre Swain and Pietro Swain, great grandchildren Dylan Rippey, Zyler and Zavier McKethan, Sue Mullins was the former wife and good friend of the deceased, step-son Chris Keels. Along with his parents, he is preceded in death by wife Margaret Mullins. Friends may call at Newcomer Funeral Home, NE Chapel, 3047 E. Dublin Granville Rd., Columbus, OH on Wednesday, December 5, 2018 from 1pm until time of service at 3pm with Dr. C. Dexter Wise officiating. Add your memories to the guest book of Carl Mullins Jr..
God BLess and Thank YOU, Carl for your service in The United States Army...RIP... And Semper Fi. Soldier. My fondest memory of Carl Russell was his laughter. He loved having a great time. I’m so sorry to hear about your passing — you will definitely be missed. I send my condolences to the family. You're in my prayers. My Father, Lloyd Evans was Carl's best friend and co-worker at GE. Carl was very close to our family and after my Father passed away in 2007, Carl remained a dear friend to us. We are so sorry for your loss and will miss him very much. Our prayers and sympathy goes out to you and your family. The weekend that all of the first cousins got together was a blast and the last time I saw you. I will always remember that weekend and the advise you gave me. I love you big cuz and will miss you. Sue, Marjorie, Michelle, Ree Ree and Cathy I'm sorry for you loss. June, you were more an older brother than a cousin. Although you always tried to get me to call you uncle. The love you shared for me will always be felt in the most sacred part of my soul. I love you and will continue to do so until we are again united. Forever in my Heart, Pinky. Carl and I met in the second grade at St. Peter Claver School in Lexington. We remained friendly all these years. He always had the ability to make people laugh and I'll miss his jokes. He'll be on center stage making angels smile. God's blessings to family and friends. A memory I have of my Papa is him coming to most of my games for baseball and football. He would show up an hour before the game started, before the players even get to the field, so he can get a good parking spot!